If you are looking to reset Android on your Samsung Galaxy S7, this is the tutorial for you. Maybe it’s behaving in a strange manner, or you just need to start over from factory settings to give it to someone else to use. When you reset Android on your Samsung Galaxy S7, you’re making it return to it’s out of the box state, so if you forgot your lock pin, pattern or password, this is the way to go. We will explain two methods to achieve this, depending on the state of your Samsung Galaxy S7. Before starting with any of these two methods, make sure your battery is fully charged, to avoid any surprise shut downs. It is also a good idea to do a backup if you have access to yourSamsung Galaxy S7’s operative system. Like we stated before, in this tutorial we will explain two methods on how to reset Android on a Samsung Galaxy S7. You will use the first one if you can access your Android OS, and simply want to return your phone to factory settings. The second one is used when you have lost access to your device for some reason. To reset Android using this method you have to be able to access the Settings on your Samsung Galaxy S7. After opening your settings, go to Backup & Reset, and then select the option Factory data reset. Tap the Reset Device button for the process to start, deleting everything from your phone, and then proceeding to shutting down the phone and restarting. How to reset Android on Samsung Galaxy S7, using hardware buttons. Press the volume up, home and power buttons at the same time, and release them. You will see different messages for rebooting and updating and then a menu will show. Using the volume buttons navigate to the Wipe data /factory reset option and press the power button to confirm. Select Yes, stating that you are sure that you want to go through with the process, and confirm the process using the power button. After some processing, the menu will show up again, at which point using the volume buttons to navigate the options, you have to select the option Reset system now and press the power button to confirm. 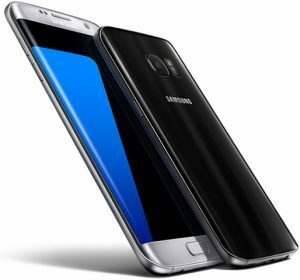 Once your Samsung Galaxy S7 has rebooted, with either of the two methods, you will have reset Android on your device, having returned it to it’s factory settings, and leaving it as good as new waiting for configurations. If you’re the owner of a Samsung Galaxy S5 you want to reset Android on, this is the tutorial for you. 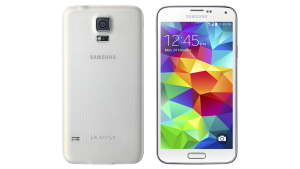 We will show you a way to return your Samsung Galaxy S5 to it’s factory settings, which will come in very handy if, for example, you forget the lock pattern you set for it. Before starting with any of the methods that we will explain to reset Android, pleas make sure the battery of your Samsung Galaxy S5 is charged to at least 80%, to avoid any complications. Confirm to start the process. Make sure your device is completely turned off. To be 100% sure, turn it off, remove the battery and wait 5 seconds before reinserting it. When you see the Android logo on the screen, let go of all the buttons and wait for a menu to show up. Navigate through the options using the volume buttons until you reach the Wipe data/Factory reset option and press the Power button to confirm the selection. Do the same process to select Yes – delete all user data and wait for the procedure to finish. You have now successfully reset Android on your Samsung Galaxy S5 returning it to it’s out of the box state. In this tutorial we will show you how to reset Android on the Samsung Galaxy Fresh, a device that runs Android 4.1 Jelly Bean. There are two ways to hard reset Android on a Samsung Galaxy Fresh device. Which ever you decide to use will leave your mobile in the same state as it was out of the box, giving it a fresh start. The method you will use to reset Android will depend on if you have access to the applications Menu of the Samsung Galaxy Fresh or not. To use the first set of instructions we’ll provide the hard reset will be applied using options available in the Applications Menu, you will therefor need access to your mobile. If you don’t have access to your mobile, maybe because you forgot the lock pattern, you will need to use the second set of instructions. Before starting with any of the two methods be sure that your battery is charged at least in 80%, to avoid any sudden powering off. It is also recommended that you do a backup of your data, if you have access to your Samsung Galaxy Fresh OS. With the Samsung Galaxy Fresh being turned off, press the Volume Up , Home and Power button at the same time. When a menu appears on the screeen, choose the option Wipe data / factory reset by moving up and down with the Volume buttons, and selecting with the Power button. Confirm the operation by pressing the Power button. 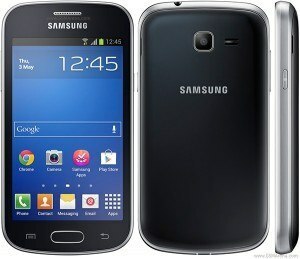 You have now reset Android on your Samsung Galaxy Fresh, and will have a phone in the same state as if out of the box.